Some cats absolutely love the outdoors, even in winter. Other cats wouldn’t dream of getting their paws all wet and cold in the snow. However, we’ll never know which our felines are until we let them test that wet, white stuff out for themselves. The humans in the video below responsibly keep their kitties harnessed and on leash for their journey into the outdoors. If you’re going to let your furry friend test out the snow, take a lesson from the video and keep your cat safe. Do you think your cats will like the snow? These cats seem to be having a good time of it. At least for a few seconds until they head back inside. They still managed to leave a few cute paw prints before coming in to get dry and toasty. If you liked this video, you can follow these kitties on Facebook. Check out Cole & Marmalade on all their adventures. 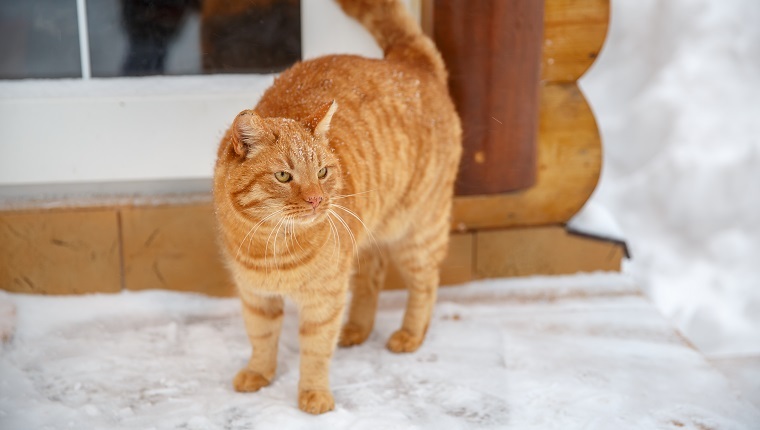 Keep in mind that there are a lot of dangers for cats in winter, from antifreeze to frigid temperatures. Feral and stray cats could use your help this season. You can make homemade shelters for them and leave out food to make sure they have an easier time in the harsh weather. Have your cats ever experienced snow? How did they like it? Let us know in the comments below!